Words can’t even explain just how amazing our experience was while working with Chris at Starkey’s for our wedding. 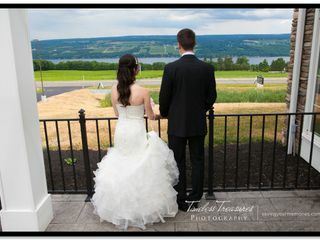 When we walked in to the winery for the first time on our wedding day we saw everything’s invisioned/discussed and more!! All of our guests can’t stop talking about the breath taking views and the level of professionalism they experienced from every one of the staff. I can’t recommend this place enough for all your event needs !! Chris and the whole team at Starkey's Lookout were incredible from start to finish, from answering questions to making our day smooth and perfect ! 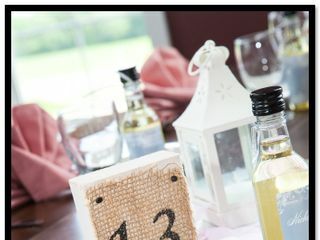 Hands down recommended to a future bride and groom who want a beautiful Finger Lakes setting ! Perfect wedding venue! We were so happy with absolutely everything Starkey’s did for us!! It was a truly perfect space for our event. The atmosphere, view, and quality of service was perfect. They have a superb selection of beer and wine. #1 of places to hold a party! Thank you Margaret, it was a pleasure having you all here with us at Starkey's Lookout! Chris, the GM, was wonderful throughout the entire planning process. He was flexible and accommodating, and ensured our day went off without a hitch. 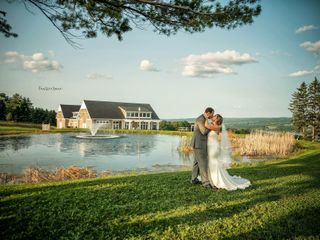 If you’re looking for a picturesque lake view setting for your special day at an affordable price, Starkey’s is the best. We held our rehearsal dinner at Starkey's Lookout and Chris was an absolute pleasure to work with. He's organized, friendly, and puts you at ease throughout the planning process. 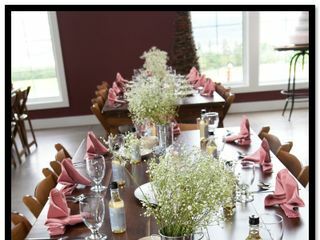 He was very willing to cater to any specific needs or requests we had, and he and his team set up the room exactly how I envisioned - they even arranged our centerpieces for us! 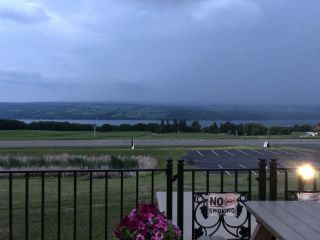 The venue is pristine and the view is gorgeous - I would highly recommend Starkey's Lookout to anyone looking to host an event in the Finger Lakes region. Thank you, Chris & team, for making our celebration stress-free and so much fun! Chris and the team at Starkey's Lookout were wonderful to work with. Very accommodating, proactive, and they offered helpful suggestions. We had our wedding ceremony and reception right there, and it was seamless. We brought in our own caterer, and everyone worked together very well. Highly recommend Starkey's for your event. The inside and outside are both contemporary and tastefully appointed, and I love the pictures of the various Seneca Lake locations on the walls - nostalgic for me as I grew up on the lake. I honestly cannot say enough about Christopher and his team. Planning a wedding is stressful especially if you're like me and you didn't know what you're doing. Christopher and his team walked me through everything. Advising me on an amazing caterer, what people do during ceremonies and after. Working a full-time job up until my wedding was stressful as well emailing and talking with Christopher, just made everything better. The Starkeys team made everything so easy from helping me to decide on everything. The day of the wedding he and his team helped decorate and put everything into order. Walking in being nervous as well hell, when I saw everything looked like I began to cry. I couldn't have imagined it better, even if I hired somebody set everything up. 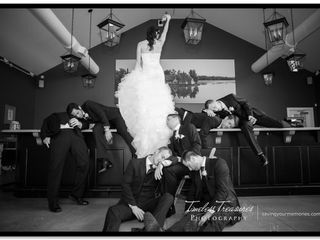 Christopher calmed me down up until the day I walk down the aisle, and after was an amazing party. He made sure everything went smoothly and everybody was taken care of I honestly couldn't have a better venue or person to help me. Starkeys is so beautiful granted it poured the day of my wedding. So if you want an outside wedding it'll be phenomenal but even if you wanted something inside like I chose it's even more special. They have the fireplace the beautiful Archway windows gorgeous chandelier's just breathtaking in every way. I can truly say if I was to do something down the road Starkeys would be my number one choice. The wine the people The ambience absolutely phenomenal!! Every time I'm in the area I stop by just to see this wonderful venue. My husband and I were married at Starkey's Lookout this past August and also had our Reception their. 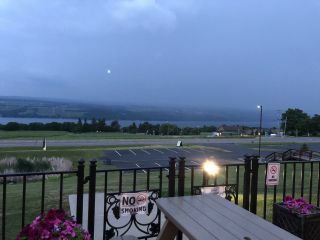 The view of Seneca Lake is breathtaking along with the building itself. The entire evening was magical because of the wonderful staff at Starkey's Lookout. I would recommend anyone having their event at Starkey's Lookout....you will not be disappointed. Our experience was seamless! Only thing we didn't expect was having to order extra tables and chairs and pay for those. They worked great with our caterer and all our vendors. Everything was perfect!! It was a dream wedding!! Everything was wonderful at Starkey's. Chris was great to work with and helped with everything! We discussed another beer option for our guest that preferred a more popular (such as Coors or Michelob) version, and this didn't happen. We did discuss it early in the planning so the notes may have gotten lost somewhere.